The perfect blend of style and functionality, our Bottle Opener USB Keys can both store your data and open your drinks! 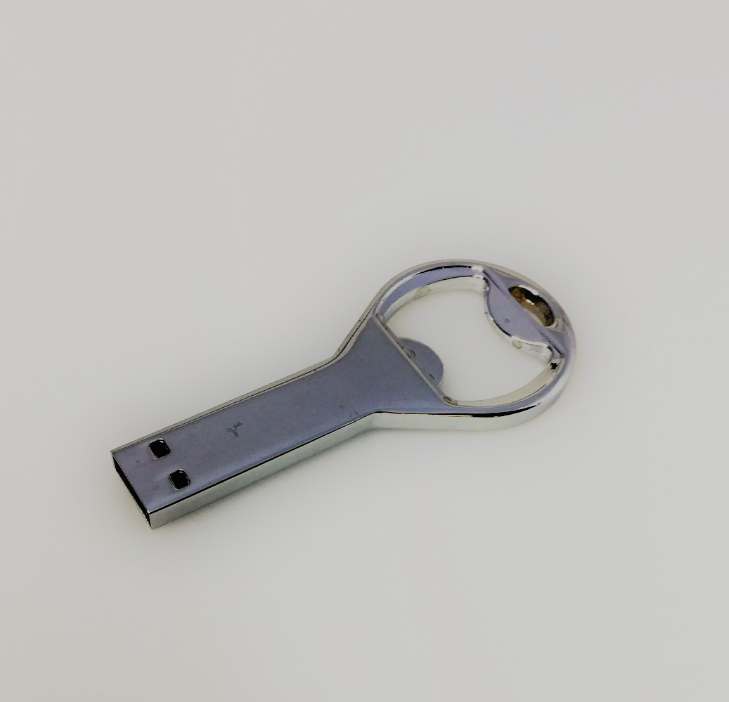 Attach to your keyring to ensure you're never without a data storage point or a bevvy opener again. 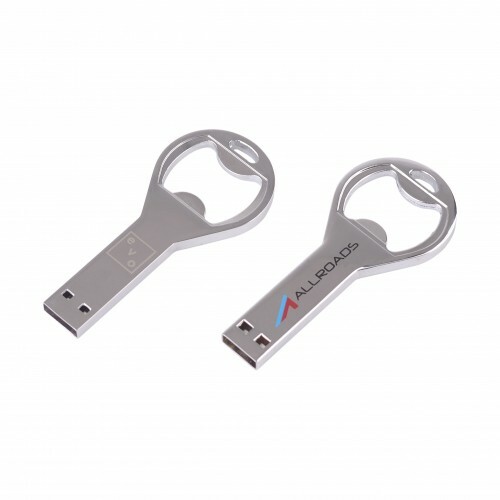 These Bottle Opener USB Keys are made from sturdy metal and have a stylish, modern look that your recipients will love. Finish off their look with your logo printed or laser engraved on the body - a fantastic way to advertise your business on an item people will use and appreciate regularly. 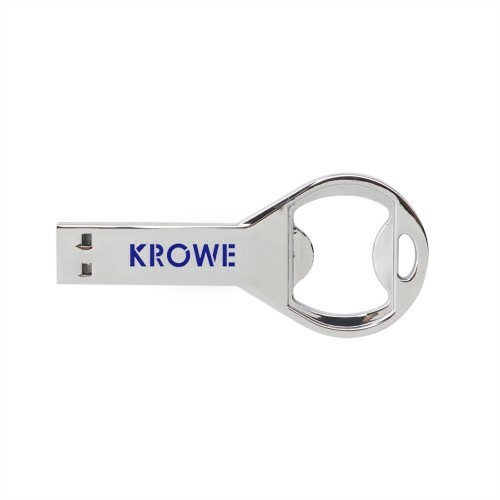 Bottle Opener Key USBs make great promotional items for expos, outdoor events and premium business giveaways. With its attractive metal finish we would recommend laser engraving of your logo directly onto the USB key body. We can also provide pad printing on these units however, print will rub from metal over time. Sizes available include 1gig / 2gig / 4gig / 8gig / 16gig /32gig and even 64gig. Our friendly sales team can assist you with advice on sizing for your requirements. Our minimum order quantity for these Bottle Opener USB Keys is 50 units with your logo branded. Give us a call or hit the enquire button to get in touch with us and we'll provide you with an obligation free quote. All prices exclude GST. The standard turnaround time for these units is 2 weeks from artwork approval. 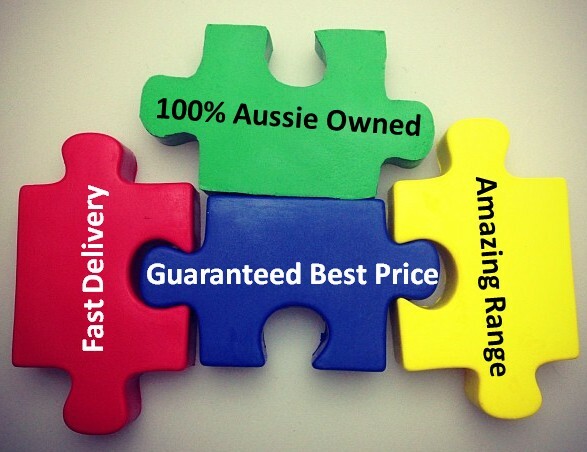 We deliver these products within Australia only.